Do Mum & Dad love Sudoku? Are you looking for a thoughtful gift that will let them know just how much they mean to you AND keep them entertained for hours? Look no further! 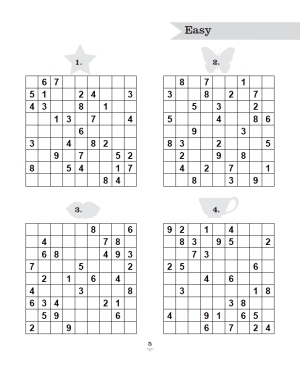 Packed with 200 9x9 sudoku puzzles in levels easy, medium and hard, this book is sure to keep the recipient happy! 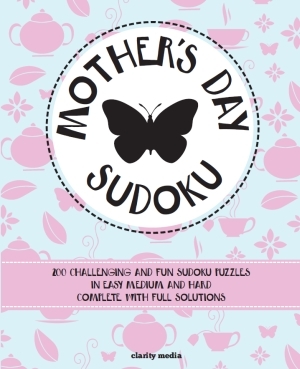 Featuring a fantastic collection of 200 of the very best sudoku puzzles, this book is the perfect gift for any Mother or Father. Presented in a large 8x10 inch size with 4 puzzles per page and lots of note-taking space, this book is filled with high quality crisp white paper which is perfect for puzzling! The covers are attractive and stylish and very much fit into making these puzzles a thoughtful and chic gift to give any puzzle-loving Mum or Dad on their special day. All puzzles come complete with solutions towards the back of the book so if you get stuck, take a look there for some inspiration! Not a fan of sudoku? We have a range of gifts ideal for Mum's and Dad's, including the Mothers Day Puzzles Book - which also has a Father's Day version. 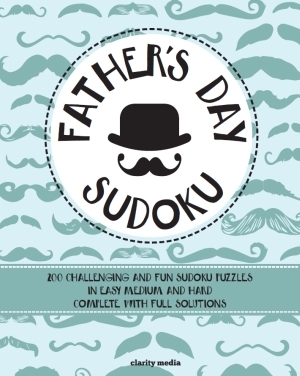 This book contains a large range of different puzzles, so if your Mum or Dad is not really a sudoku fan, then fear not - the book of puzzles contains some sudoku but also contains wordwheels, crosswords, battleships and more besides. Is there a puzzle-related gift that you'd like to see but can't find here? Please do use the contact us form at the top of this page to let us know as we are always happy to hear any ideas you might have!